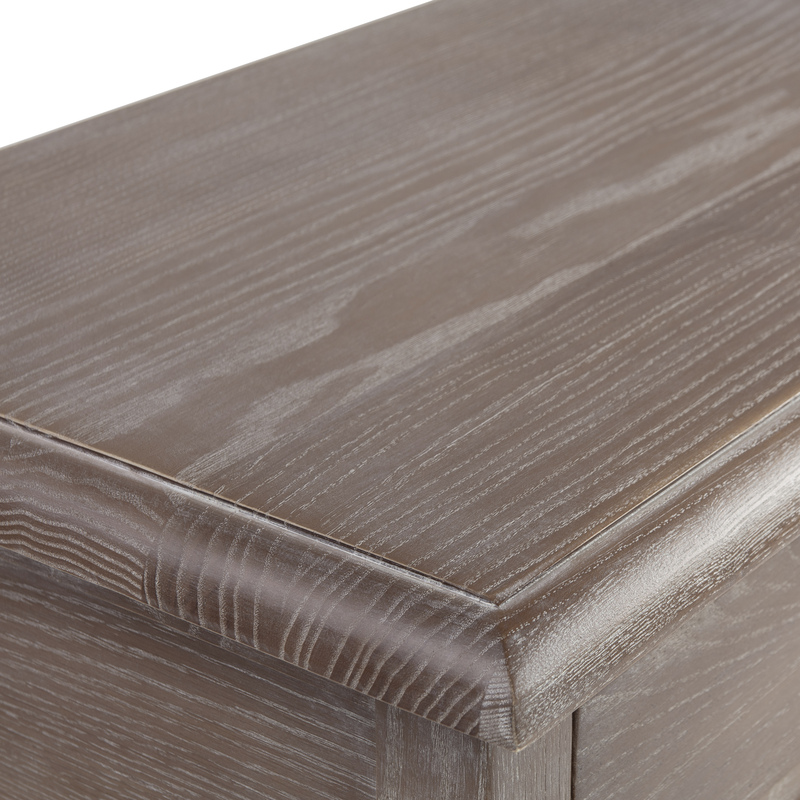 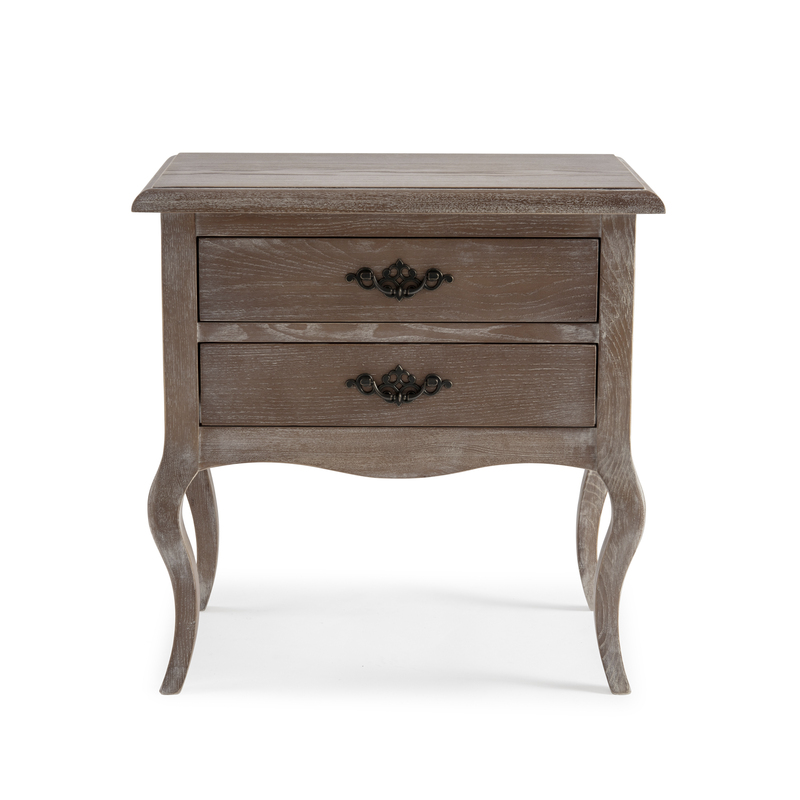 This beautifully designed French Weathered Limed Ash Chest of Drawers is another fantastic edition to our French limed Ash bedroom collection. 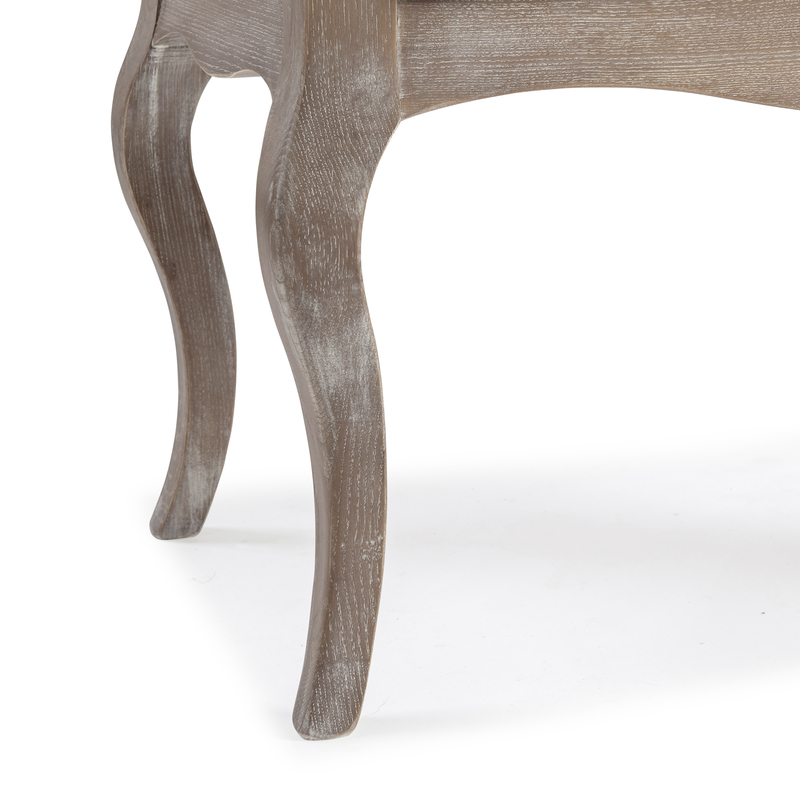 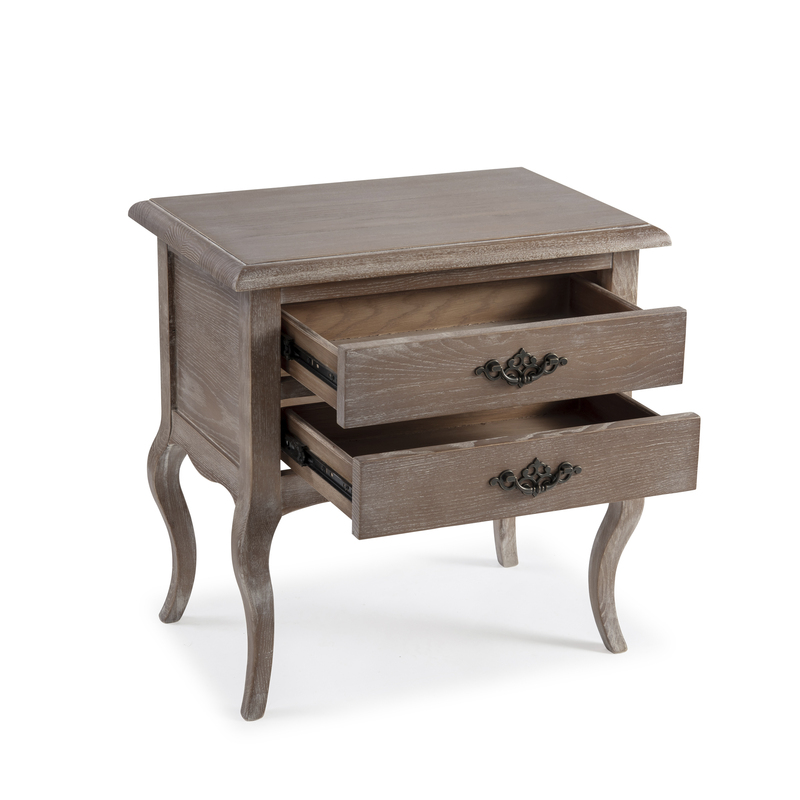 This beautifully designed French Ash bedside table is another fantastic edition to our French bedroom collection which would go perfect with our French Ash upholstered beds. 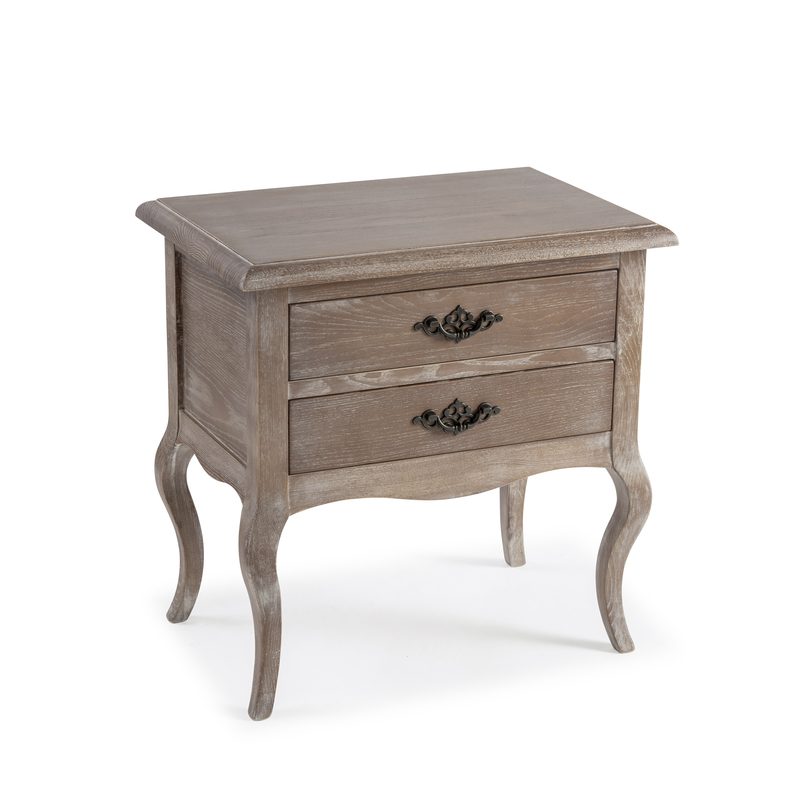 The bedside features two drawers having antique solid brass French style carved handles. 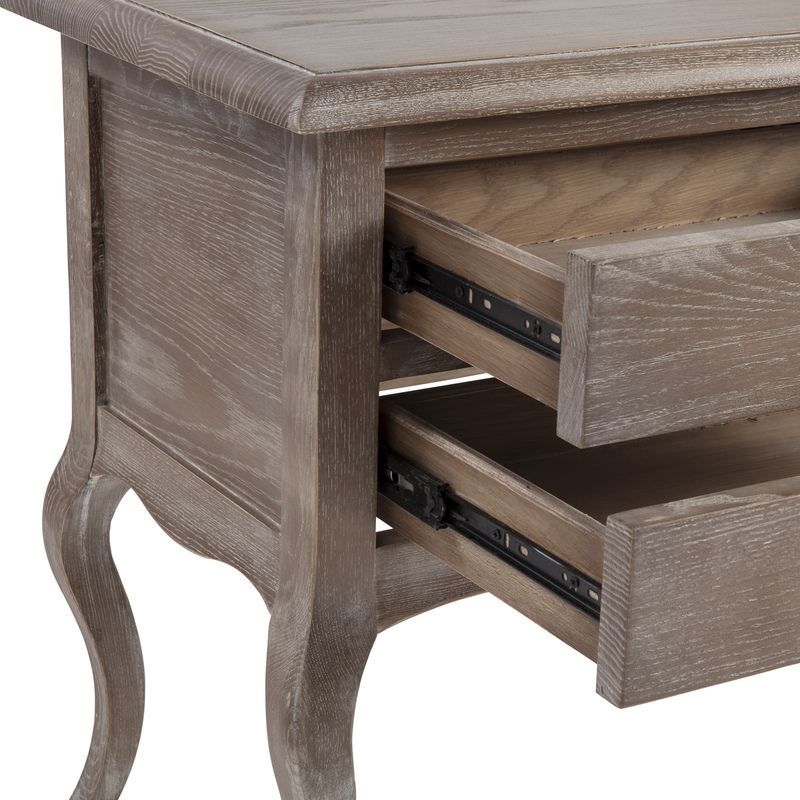 The top of the bedside table sits on four cabriole legs.